Two girls were headed to the Justin Bieber concert in Dallas recently and they only needed two shirts. No problem! 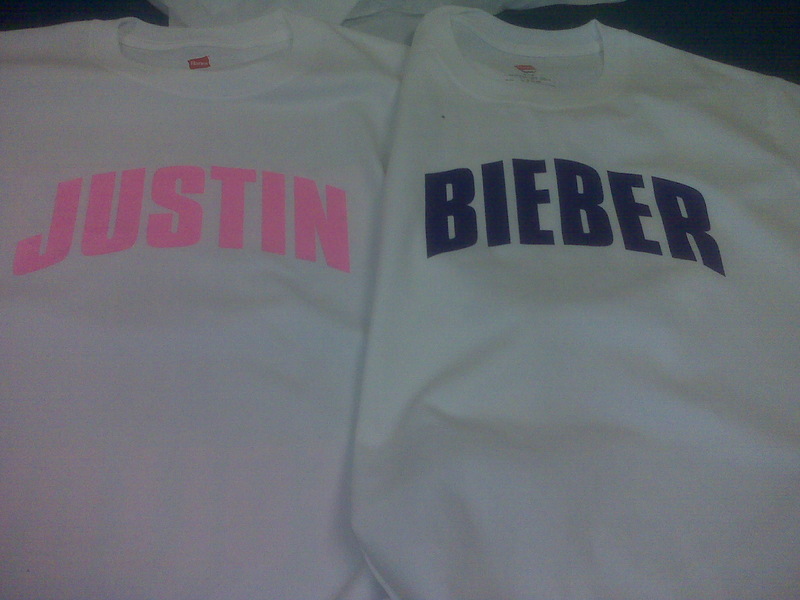 One wanted Justin in pink and the other wanted Bieber in blue. On the back, we put the lyrics to their favorite Lady GaGa song. The end result, two satisfied, screening teenagers having a great time at the concert in their FCS Creations custom apparel. Get your custom apparel today! Call us at 972-220-9244.